Eidoo has today officially launched ICO Engine, offering companies and startups the opportunity to host ICOs safely and with ease via the Eidoo mobile app. Users of the Eidoo app (available on both Android and IOS) will find the ICO Engine tool conveniently located in the same environment as their Ethereum wallet and can effortlessly join a range of ICOs without having to leave the app. The user-friendly tool is the first of its kind and comes at a time when the popularity of Initial Coin Offerings (ICOs) is reaching new heights. According to data provider Coinschedule, $3.3bn has been raised in more than 200 ICOs over the past 12 months alone and the popularity of this innovative form of crowdfunding shows no signs of relenting. The ICO Engine tool has already successfully hosted Eidoo’s own ICO last month which raised $27.9 million and EthLend has been confirmed to be the first external company to utilise the service, with their ICO starting on 25th November. EthLend has created a decentralised peer-to-peer lending service based on the Ethereum blockchain, promising a world where everyone has the same access to financing. In order to remove any risk of assets being lost due to computer hacking, program error or scams, Eidoo has also created a strong security system that ensures the safety of the ICOs. Users needn’t worry about repeats of the CoinDash ICO (where a hacker stole $7 million because the ethereum address used to solicit funds was altered to a fake one) simply because Eidoo will never show the address for an ICO publically. 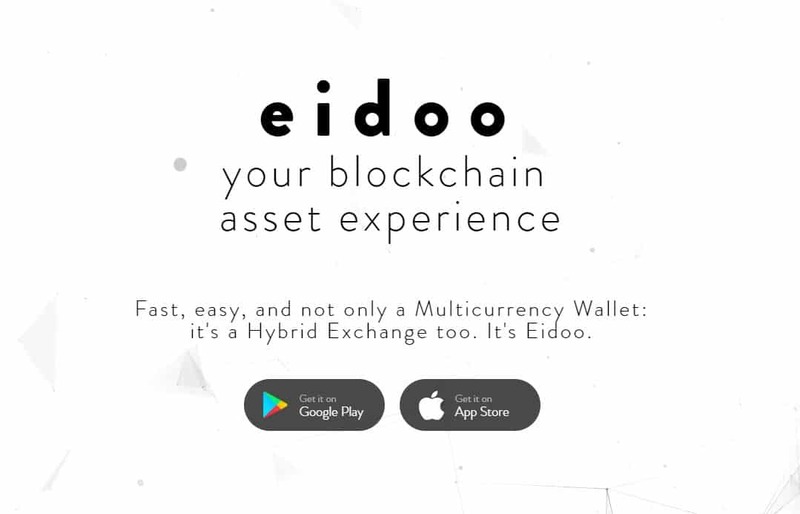 From a startup point of view, joining the Eidoo ICO Engine leads to a higher visibility due to the broad popularity of the app – it has been downloaded 130,000 times since the start of October 2017 and with a hybrid exchange, Bitcoin wallet, Eidoo-branded debit card, and a raft of innovative add-on services in the pipeline, use of the Eidoo app will continue to increase at a significant rate. Eidoo also offers startups the opportunity to organise airdrops which are useful in creating a significant advertising effect for users who recognise receiving a gift with a quantifiable value. Startups joining the Eidoo ICO Engine service can also take advantage of Eidoo’s successful marketing strategy, opening up exposure to advertising channels around the world – including the chance to appear in a wide range of blogs and magazines explicitly related to blockchain tech and on internationally influential publications.